These flowers are so welcome when the rest of the garden is still coming to life. We have two in our garden, a friend of mine has a whole hedge of it that looks stunning when it is in bloom. Week 9 of joining in with Nature in the Home at little green shed with Lou. thanks, helps that the table is tidy for once! 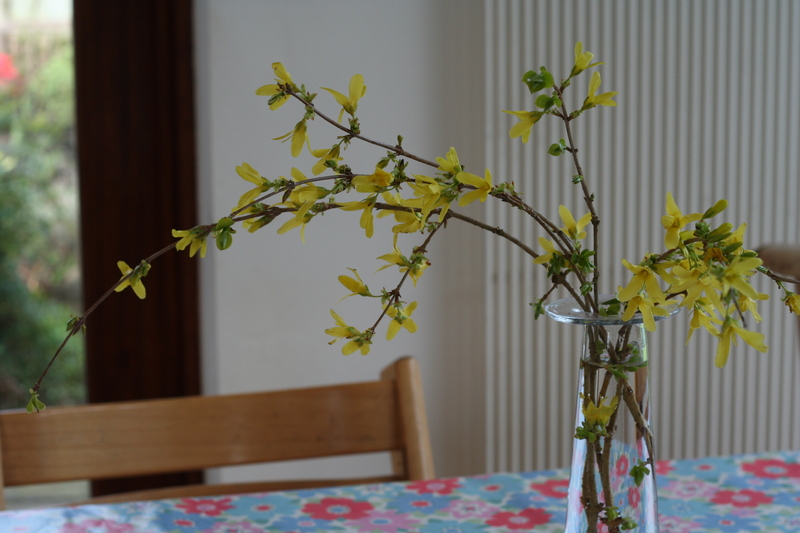 I have a mini forsythia hedge. It’s beautiful to look at but unfortunately I don’t get nice long branches of buds that I can cut to go in the house. Yours look so beautiful.